Pondboss that's an awesome first trad kill. Congratulations! Nice buck DoubleB20. Congratulations on a short blood trail. Congrats BB20, that’s a great looking buck and a cool photo...I really like that different perspective. Thank you for the compliments and encouragement everyone. Bisch, I would really enjoy meeting up with you sometime. Our place is out near Paint Rock. Angelo isn’t much of a drive and I’m guessing that you’re about an hour further. Got a nice buck Friday. Shooting a Tolke Cerlew 54# @ 28, carbon arrows tipped with 225 grain Tuffhead. 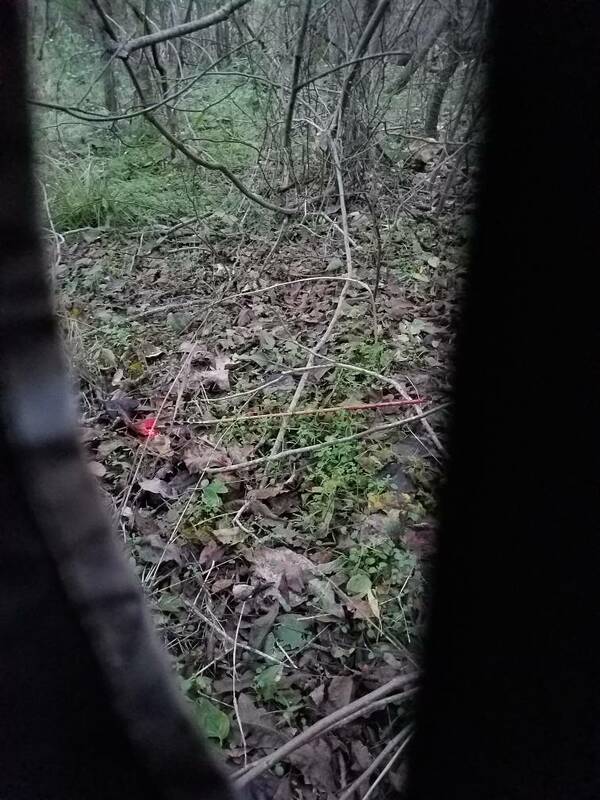 12 yard shot, easy blood trail ended in about 50 yds. Congrats Brian! He’s a fine buck!!!! Yes, pondboss, I am about an hour straight south of San Angelo. I didn't post this before for a couple of reasons. One is it wasn't a perfect shot and I had to crawl into a brush pile to finish him with a strangle hold. My first turkey with archery gear. Second day of archery season. 15 yard shot, 100 yard recovery. Big thanx to my ranch partners for help on the grid search. Big Congrats to all the guys and gals! Been a lot of kills lately! Congrats on the thunderchicken Gary! Congrats on your first Pondboss! It's an awesome feeling for sure. WTG DRT...that’s a cool turkey. Those big birds can be tough as heck. Good job on the turkey Gary. They have been my nemesis. I haven’t missed one but I’ve only been able to recover one. They’re very tough with a small vital spot. Got my first Auodad with my “Roland Jenkins”. Thanks you all ! It was a lot of fun for sure ! Oddly made what was my best shot on him. Momma wouldn't give me a shot, so this guy paid the price for her sins. I did have a moment or two of confusion when I found him. He had a very deep and fresh gash about 4" wide across his face that went down to the bone. For a while I thought I hit him in the head... but at the skinning rack, I found the entrance in the shoulder and the broadhead in its chest. Congrats Scott. That'll eat good. It usually happens that way for me, when I'm least prepared. Congrats SwampRabbit...perfect eating size piggy. Congrats ya'll! Swamprabbit, like that dual hindquarter cut on the smoker! Will have to try that with the next hog or javi I get. Good shootin swamp and styk!